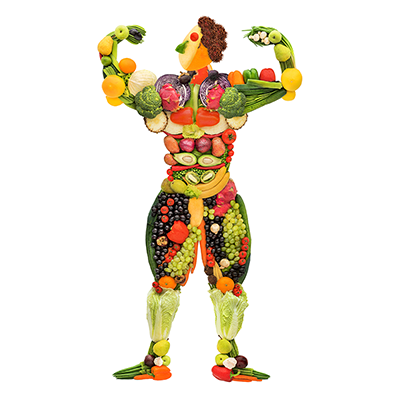 "Nutrition is Not 'Rocket' Science; although it is a Science." Most diets advocate and perpetuate the low fat mentality. Foods with their intended fat content, with nothing added or removed are reasons we evolved mentally and physically: brain development, cell repair and growth. We can have too much of a good thing, when greed does us harm. We must remain positive, eat in moderation a variety of natural foods, move more and sleep well. Food giveth life and food taketh away. Although there are life giving and life taking foods; they are so because of life giving habits and life taking habits. Drugs, cigarettes and alcohol kill and affect the lives of those close to people who abuse them, although our poor food habits and physical inactivity not only contribute to reduced quality of life and disabilities, it is the biggest killer. Our choice to adopt these bad habits contributes to the leading causes of death (metabolic syndrome: combination of diabetes, high blood pressure and obesity). Our saviours: good habits; good nutrition, exercise, sleep and avoidance of long term stress are the life givers. Poor nutritional habits of the ‘developed’ world include foods high in sugar, fat and salt. The presence of trans fats and high intake of refined carbohydrates combined with a diet deficient in protein, vegetables, fruits, complex carbohydrates and fibre, contribute to the leading causes of death, increasing the risk of heart disease, diabetes, obesity, hypertension, stroke, osteoporosis and many cancers. How ‘developed’ are we? Good nutritional habits means, eating a balanced selection of life giving foods, not starving our body of the nutrients gifting life. Good nutritional habits promote the correct and optimal operation of the structures and systems of our body (illustrated in the diagram below). Macronutrients (protein, carbohydrates and fats) provide energy, our body utilises them for structure, function and fuel (alcohol provides only fuel – not classed as a nutrient). The micronutrients (vitamins and minerals) provide no energy although both are essential to unlock the energy from macronutrients and are also used for structure and function. Both macronutrients and micronutrients are essential in the correct ratios for optimum health and function. Understand then apply the principles of how our body utilises food to avoid the snare of fad dieting. This requires patience, consistency, an understanding of bio-chemistry, and most importantly the mindset to make good the promises we make to ourselves. A special relationship exists within our body between structure and function. Structure dictates function. Our food quality and the specific chemical composition of that food, has profound effects on our body at a cellular level. 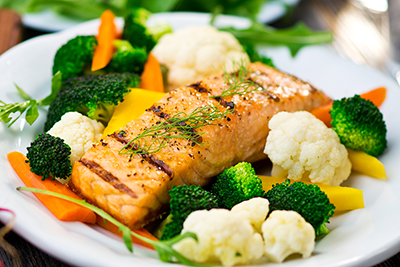 The most important element in achieving our athletic potential is nutrition. The piano teacher tunes the piano; ensuring when the student plays, it is music to their ears. We are finely tuned machines...nutritional advice comes as standard, provided by professionals. 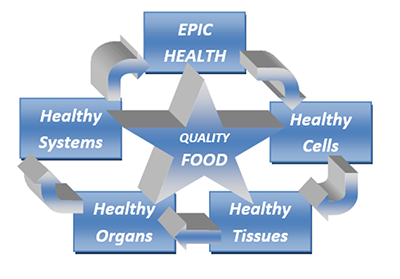 For an introduction to nutrition click here or open 'eat' on the EPIC Pyramid on the home page. Nutrition design upon request. 5 day food and drink diary must be completed and body composition assessed prior to appointment. The piano teacher has invested tens of thousands of hours practising their craft. Why should it be different with the most prized instrument; our body. Seek out the teacher who will help tune and tone your body, assist in developing your better-self. There are instructors and there are teachers in every craft. Seek those who ‘Walk the Walk’. Great athletes train with great coaches to ensure they achieve their athletic potential. To be an athlete you must train, eat and sleep as an athlete. Athletes compete with and against other athletes to keep their edge and become the best. Your coach and the people around you must ‘Walk the Walk’... as we become who we associate with. "EPIC’s focus is on producing results, rather than in maintaining client numbers. Happy to see you arrive, happiest to see you use us as the springboard to greater things." Nutrition is not rocket science; though it is a science. Food giveth life and food taketh away. Although there are life giving foods and life taking foods; they are so because of life giving habits and life taking habits. Drugs, cigarettes and alcohol kill and affect the lives of those close to people who abuse them, though our poor food habits and physical inactivity not only contribute to reduced quality of life and disabilities, it is also the biggest killer. Our choice to adopt these bad habits contributes to the leading causes of death (metabolic syndrome: combination of diabetes, high blood pressure and obesity). Our saviours: good habits; good nutrition, exercise, sleep and avoidance of long term stress are the life givers. Poor nutritional habits of the 'developed' world include foods high in sugar, fat and salt. The presence of trans fats and high intake of refined carbohydrates combined with a diet deficient in protein, vegetables, fruits, complex carbohydrates and fibre, contribute to the leading causes of death, increasing the risk of heart disease, diabetes, obesity, hypertension, stroke, osteoporosis and many cancers. How 'developed' are we? Good nutritional habits means, eating a balanced selection of life giving foods, not starving our body of the nutrients gifting life. Good nutritional habits promote the correct and optimal operation of the structures and systems of our body (illustrated in the diagram below). Macronutrients (protein, carbohydrates and fats) provide energy, our body utilises them for structure, function and fuel (alcohol provides only fuel – not classed as a nutrient). The micronutrients (vitamins and minerals) provide no energy though both are essential to unlock the energy from macronutrients and are also used for structure and function. Both macronutrients and micronutrients are essential in the correct ratios for optimum health and function. Understand then apply the principles of how our body utilises food to avoid the snare of fad dieting. This requires patience, consistency, an understanding of bio-chemistry, and most importantly the mindset to make good the promises we make to ourselves.